Will: Hey, we’re not going home right now, but I will get you out of here. You have to trust me. Caesar, you have to trust me. A world dominated by apes became the fascination of many back in 1968, when the original Planet of the Apes opened. The sci-fi classic went on to spawn 4 sequels, two television series, and the 2001 re-imagining of the film, directed by Tim Burton. Regardless of the mixed opinions concerning the most recent entry, 20th Century Fox seemed to not be able to get their stinking paws off of this franchise, as we now have another re-imagining/remake of sorts. 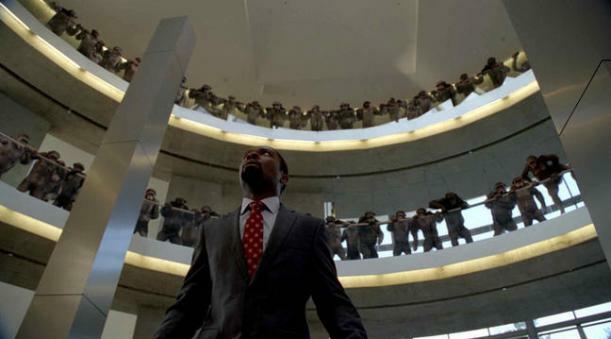 While having a lot in common with the fourth film in the original series, Conquest of the Planet of the Apes, Rise of the Planet of the Apes is a new origin story for the series, with a fresh take on establishing its timeline continuity. It also happens to be a supremely entertaining film that combines great special effects work with a building tale of revolution. 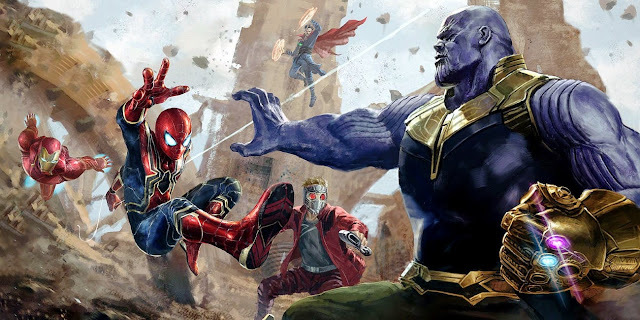 While it may have some weaker elements involving the human side of things, this is a film that manages to keep its story and action compelling, serving as a smarter than average summer movie. The film is set in San Francisco and begins by focusing on the scientist character, Will Rodman, played by James Franco. Will is working on a genetics project in hopes of curing Alzheimer’s disease. He must do tests on chimpanzees in order to properly develop his research. Following an accident, which leads to all of the test apes being put down, one newborn chimp, born from an ape with a test version of the cure within her body, is saved and brought home by Will. 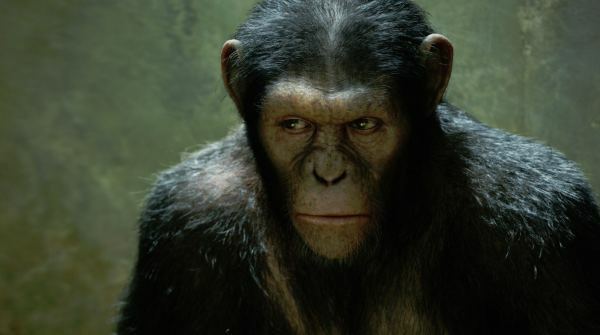 Given that this ape, eventually named Caesar (played in motion-capture form by Andy Serkis), was born with genetic modifications already within him, Caesar grows up with a rapidly developing level of intelligence. 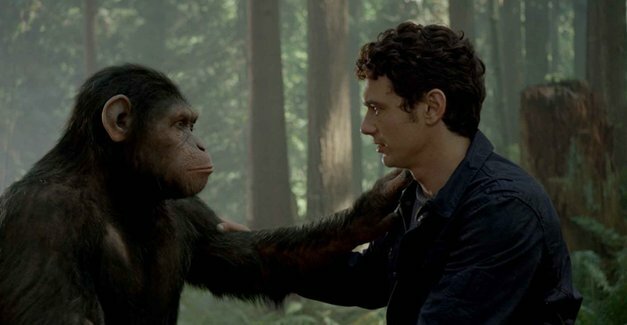 It only takes five years for Caesar to communicate perfectly well with Will, based on sign language and other developed skills. Issues of course set in, as the reason Will was working on this cure to begin with was due to his father, Charles (John Lithgow), who is suffering from Alzheimer’s. Despite Will’s attempts to cure his father, one of his episode leads to Caesar interfering and reacting too harshly against another human, leading to his placement in an ape sanctuary. Caesar begins to have prolonged exposure to both other apes and the cruelty of other humans (basically in the form of Tom Felton as one of the sanctuary employees). As Caesar is smarter than the average ape, his imprisonment may be short-lived, as may have developed ideas of his own as to how to not only escape, but go even further. 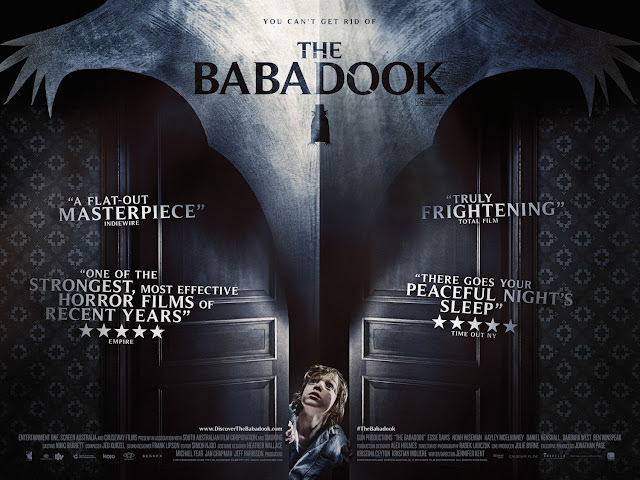 I really enjoy this franchise (which I have written about HERE) and was intrigued by the prospect of a new entry, despite the dissatisfaction I had concerning the Tim Burton film. I have since learned that the 2001 film had a lot of studio interference that resulted in its lifeless quality, which I found made the results of this new film all the more intriguing. Basically, I am surprised this film was able to be made. 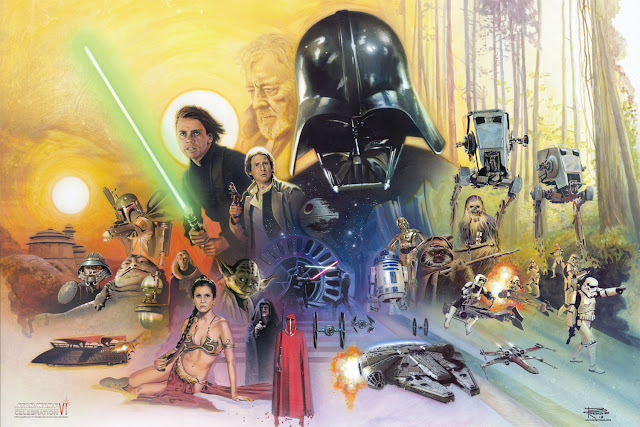 It is not a traditional sort of film in terms of its structure and the message it is promoting by any means, and it even managed to go into dark places, which is consistent with the rest of the series. Whatever is going on with Fox, in recent times, that has allowed smarter films like this and X-Men: First Class to have been made with what seems to be the original creative vision intact, I applaud it. 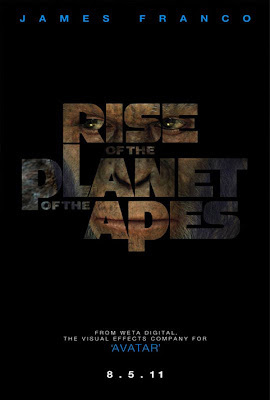 Speaking of applause; for this film, the majority of applause goes hands down to Weta Digital and the various effects teams for bringing Caesar and the other apes to life. All of the different species of ape look fantastic in this film and blend in nicely with their surroundings, given that the process of having them integrated within the film involved heavy amounts of CG. The apes are a combination of CG and motion-capture performances, but the final product is excellent and meaningful. 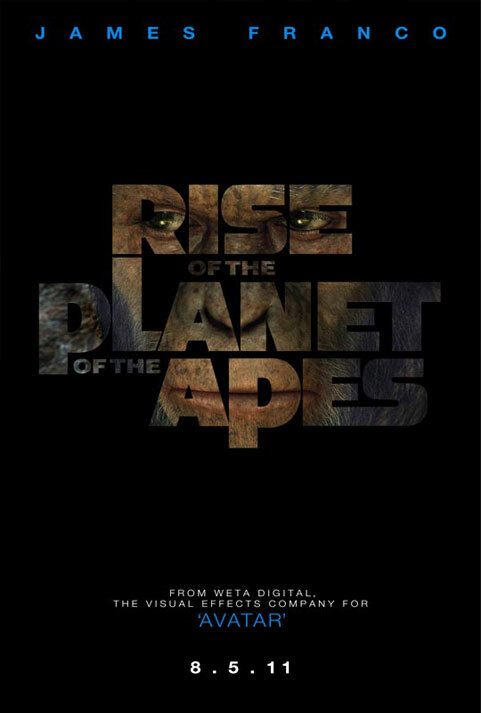 Without Caesar there is no movie, and due to the work of both Weta and an amazing motion-capture performance by Andy Serkis, this film has a clear heart that belongs to that particular chimpanzee. Serkis previously played Gollum in the Lord of the Rings films, as well as King Kong in King Kong (where he went to Africa to study the behavior of gorillas). 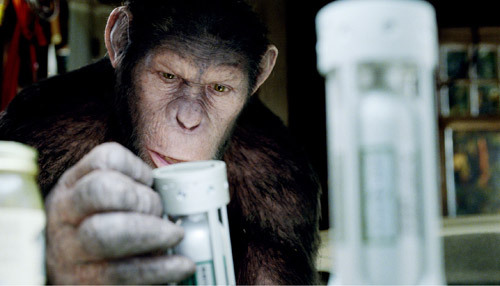 Here, Serkis has once again done his research to see how chimps behave, which has all paid off by having him completely deliver on the movements involved for Caesar, not to mention the emotional complexity expressed by subtler actions, such as the movements in Serkis’s face, which were captured in the digital recording of his performance. 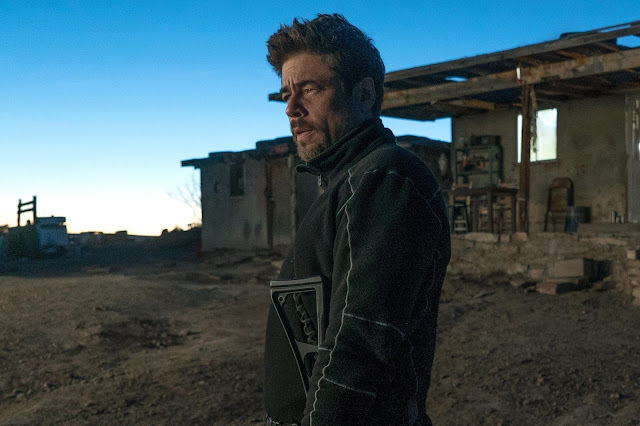 Easily, with no implied humor, this is the best performance in the film and could stand up against other great performances this year. Director Rupert Wyatt, who has emerged from the British indie scene, arrives into the realm of blockbuster entertainment with a seeming amount of ease, as he wisely lets this film build into its action/revolution filled third act. The first act is simple plot development, while the second act delivers big time with its focus on Caesar’s development as an individual with ideas. 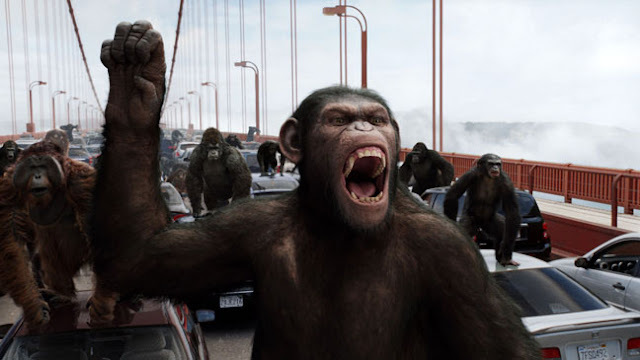 Once the third act kicks into gear (with both a shocking development and a line reading that recalls the original way too openly) things really start to go bananas, as we follow masses of apes taking on San Francisco. 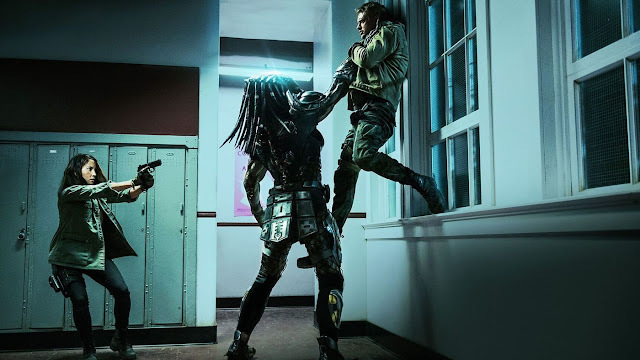 I won’t go into detail here, but the special effects manage to serve the story well once again, while also having some great work put into having the camera do things that can’t normally be done with live action characters. It is an impressive amount of work, which managed to keep the film’s pace quite zippy, despite so much plot trying to work its way into the film. While the interactions with the apes are the most enjoyable aspect, it should come as no real surprise that the humans fall into place as the weakest elements in this film. James Franco can be a very good actor, but is not given a lot to work with to make his character more interesting. While I enjoyed his relationship with Caesar and his father, there is little else for him here. John Lithgow and Brian Cox are effective enough in their roles, simply because they are old enough actors to do exactly what is needed of them, and do it well. I base this more on scripting, but Tom Felton (who I think was one of the best young actors to come out of the Harry Potter films) is incredibly irritating in his role. Really, this is a film about the apes, and we even see how relationships between various apes develop, but getting through human to human interactions are the only places where this film feels at its dullest and most formulaic. 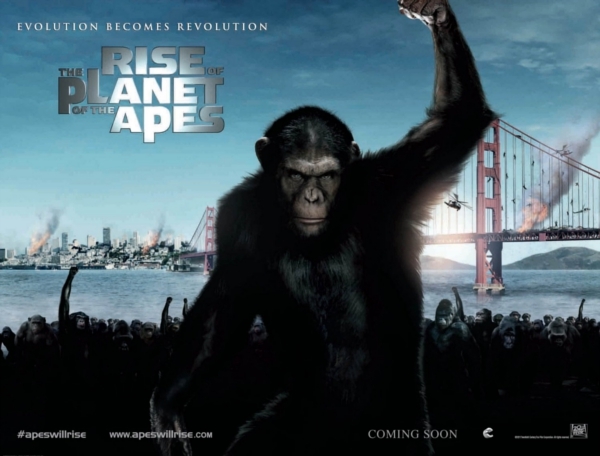 Between the greedy genetics company owner and the beautiful but bland girlfriend (sorry Freida Pinto), there is not much to latch onto here, but as we see, Apes will rise. I really enjoyed this film, and it will probably stand as one of the best of the summer and the most surprising to many. The film managed to be quite respectful of the franchise (with a lot of subtle nods and sequel hints), while standing strong as a solid new entry. There a great number of quieter scenes that simply involve watching Caesar think and reason, which I believe to be a bold move for a major studio film. This is a film that was allowed to go there, as well as be dark, as well as not let the CG get the best of it. The CG is a huge factor in this film; yes, but it is handled so effectively that I was beyond thinking of the apes, namely Caesar, as digital creations and more on board with wanting to see how their stories would play out. Fortunately, I witnessed the proper evolution of a deadly revolution, and I am curious to see where this potential new incarnation of the series’ timeline could go from here. Will: Are you a pet? No, you are not a pet.